As more and more people have started to make a shift towards online shopping, it only makes sense for you to take your business online and build a larger audience base for all your products. Ecommerce has become one of the most popular channels for growing your business. You can set up your website online and sell your products in a simple, cost-effective manner. Thanks to the different eCommerce platforms available today, you can set up your business online with only a few clicks. 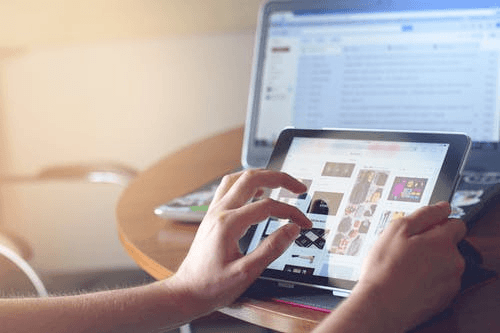 If you want to go live with your online store, you need to invest in one of these relevant and useful platforms and leverage them to drive your online presence. Picking out the right platform for launching your business online can be an overwhelming task. Different ecommerce platforms offer different features that may turn out to be beneficial for your brand. The idea is to go for the option that offers all the tools and features that align with your business needs. Here is a short guide to some of the eCommerce platforms that you can choose from to launch your business. Most of these platforms are equipped to help launch small businesses, but some of these platforms also make for a great option for launching large-scale businesses. Shopify is an ecommerce platform that boasts of more than 500k stores online. One of the best things about Shopify is that it’s very easy to use. Especially if you’re starting your online store from scratch, this platform will help facilitate the entire process in a streamlined manner. With Shopify, you can start your business without having to worry about the technical aspects of setting up a website. From customizable online stores to a 24/7 customer support system, Shopify offers all that’s needed for running a successful online store. Amongst its various features, Shopify allows you to add over 1,200 apps and integrate those into your online store to take your business to the next level. As a part of the package, Shopify offers fraud analysis as well. You can also avail their SEO features to improve your marketing efforts. Wix Ecommerce is ideal for a variety of about 50 types of products. Using this platform becomes easy and streamlined, especially with the drag-and-drop feature on the online store-front. The platform has some of the best themes to choose from and you can easily build an attractive online store for your audience. The platform comes with a feature that allows you to create an online store without having to rely on a website developer. BigCommerce works well for both small as well as big businesses. It allows you to expand on your online presence by facilitating the sale of your products through social media channels. You can also sell your products on sites like eBay and Amazon through BigCommerce. Apart from that, you have a 24/7 customer support system. BigCommerce is suitable for different types of businesses, be it B2C companies, B2B companies or even wholesalers. It comes with tools to easily manage your shipping, payments, and products. Squarespace is an ideal choice for eCommerce businesses that have minimal needs. It offers some of the most attractive themes for your online store. It allows you to upload unlimited products and helps you with inventory management. It integrates features like managing lists of customers’ emails and contacts and allows you to handle shipping configurations and coupons. Unfortunately, Squarespace lacks a solution for CRM. Also, you’ll find better SEO tools on other platforms. Magento is a self-hosted platform for launching your eCommerce business. This platform requires you to handle all the aspects of hosting as well as setting up your website. It’s an open source platform where you can also derive insights on how your audience is responding. But with this platform, you need a developer to help you set up and run your website. This is an eCommerce plugin meant to work with WordPress. This platform is ideal for those who want to set up an eCommerce platform in integration with WordPress. It offers you access to a network of developers as well as plugins that facilitate the process for you. So those were the top-performing eCommerce platforms for you. Have you found the platform that best suits your needs?